Traveling is an amazing thing, but most of us know that it can be stressful at times. There’s the planning, packing and preparing. 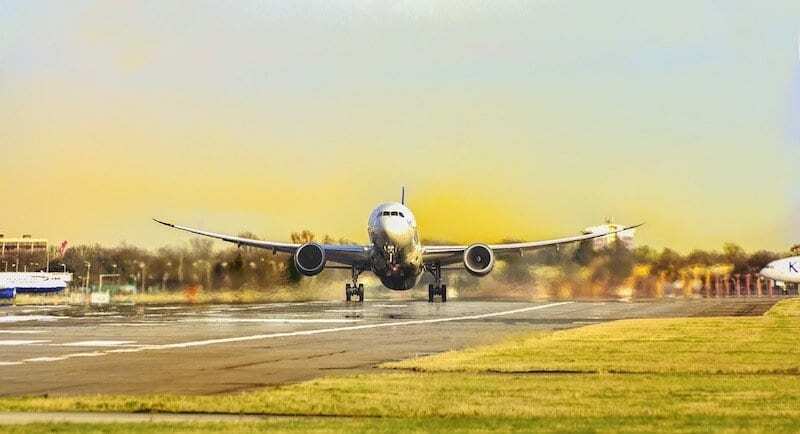 Flying somewhere is the preferred method, but comes with its own set of inconveniences. Then, there’s the oftentimes confusing process of navigating a place you’re not familiar with. If that wasn’t enough, there’s also the question of whether or not your iPhone is going to work wherever you’re going. The short answer is that it can, but there are some caveats. Cellular coverage might be really expensive or even nonexistent unless you plan ahead. Thankfully, you have some options here. Here are three ways to use your iPhone when traveling abroad. Just pick the method that makes the most sense for you. One of the easiest ways to use your iPhone when traveling abroad is to simply forego the use of cellular data and calling. This is a bit inconvenient when compared to some of the other options, but it’s simplest to do — and only forces you to rely on apps that you probably already use. First off, you’ll want to turn off data roaming when traveling internationally. 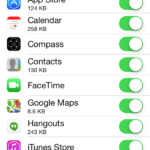 Basically, this will cut off your iPhone’s ability to use data when abroad. Tap on Cellular Data Options. Tap on the toggle next to Data Roaming to turn it off. While that reduces the functionality of your iPhone, it will help you avoid inadvertently racking up large data and calling fees. 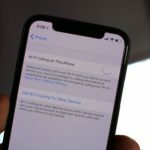 But, on the other hand, unless you go for one of the other options on this list, you’ll only be able to use WiFi-based texting and calling apps when connected to a network. If you’re reasonably certain that you’ll have access to consistent WiFi networks, then you can still use certain apps to contact friends, family, and business associates. iMessage. Apple’s built-in Messages app will let you text people when connected to WiFi without the use of data, but there’s a caveat. You’ll only be able to send iMessages — basically, only texts to other iPhones. Your Android friends are left out. FaceTime. 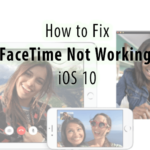 FaceTime is another native Apple app that lets you make WiFi-based contact. 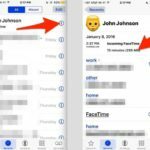 You’ll be able to call other FaceTime users (both audio and video calls) when your device is connected to a network. Phone. 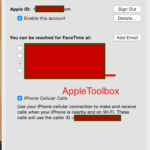 If you use an iPhone 5c or later, and you subscribe to one of the Big Four carriers, then you might have WiFi calling enabled. Basically, this is a built-in carrier feature that lets you make audio calls via WiFi on the native Phone app without cellular coverage. Facebook Messenger, Skype, WhatsApp, etc. You probably already use one of these services, which makes it convenient to use them abroad. Most of them either offer WiFi-based calling or messaging functionality. Also, they’re usually free. If you’re not keen on having to rely on WiFi networks, another option is to contact your carrier (or research online) and figure out if they have an international data plan. Some carriers will offer plans with unlimited data and texting that work in a variety of countries. 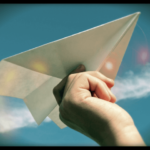 Others will have plans specific to an area, so your mileage may vary as far as pricing. On the other hand, it’s always possible to just buy small amounts of international data from your carrier. Compared to paying roaming fees, this is probably a better and cheaper option. In other words, go to your carrier’s website or contact them directly. Let them know where you’re going and find a plan that works best for you. Lastly, one way to deal with expensive or nonexistent cellular coverage abroad is to simply use another SIM card. Basically, you’ll pop out your U.S.-based SIM, keep it in a safe place, and replace it with one of these two options. When you return home, you’ll simply reverse the process. The SIM tray will be on the side of your device — it’ll look like a small tray. Just insert a paper clip into the small hole to pop the SIM tray out. Note: You’ll need an unlocked or SIM-free iPhone to use this option. It’s also smart to check whether the local cellular bands you’re using a SIM for are GSM or CDMA. Make sure your iPhone is compatible before you get there. You can typically buy or rent a prepaid SIM card for the country you’re going to, depending on the region. If you’re traveling to Europe, for example, you’ll easily be able to get a local SIM card from a carrier there. Of course, this is really dependent on the country or region you’re visiting, so plans, prices availability and cellular networks will vary pretty wildly. Do your research and find an option that works for you. Again, check to see if your cellular bands match your iPhone — most of the world uses GSM networks, while Verizon and Sprint use CDMA. Similarly, call your carrier to see if your iPhone is unlocked. If you’d like to be prepared ahead of time, you can opt for an international travel SIM card. These are SIMs that are tailor-made to be used abroad. They’re not exactly free, but they are fairly convenient. Some good options include GO-SIM and WorldSIM. For the former, there are several different cards you can purchase depending on your needs and the area you’re traveling to. They start at $17 and you’ll need to buy data separately, between $35 to $180 for 2 gigabytes. For the latter, the options are pay-as-you-go. Prices vary by destination but start around $27. And you can add multiple numbers to this card — and even roam with your current U.S. number.